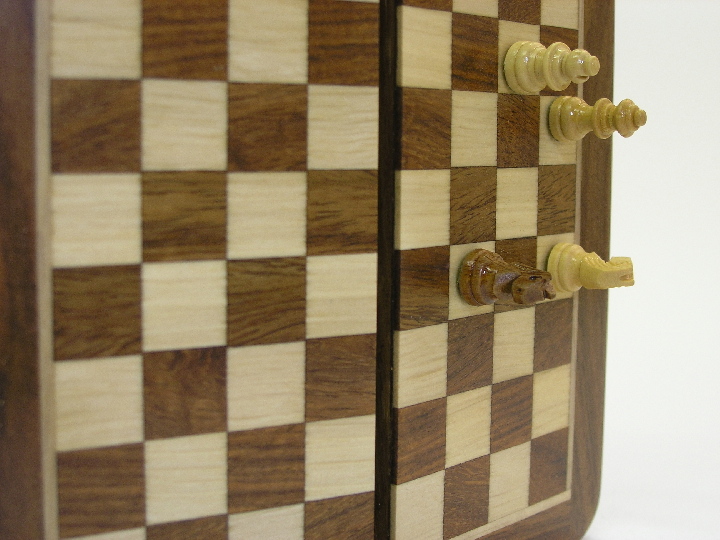 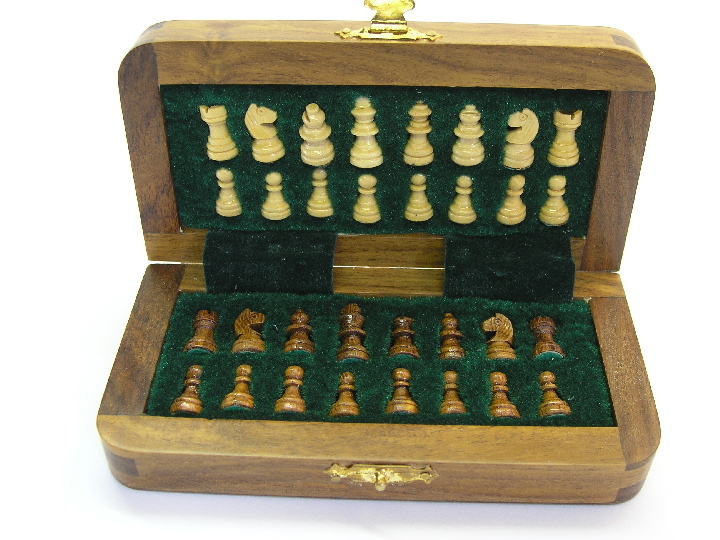 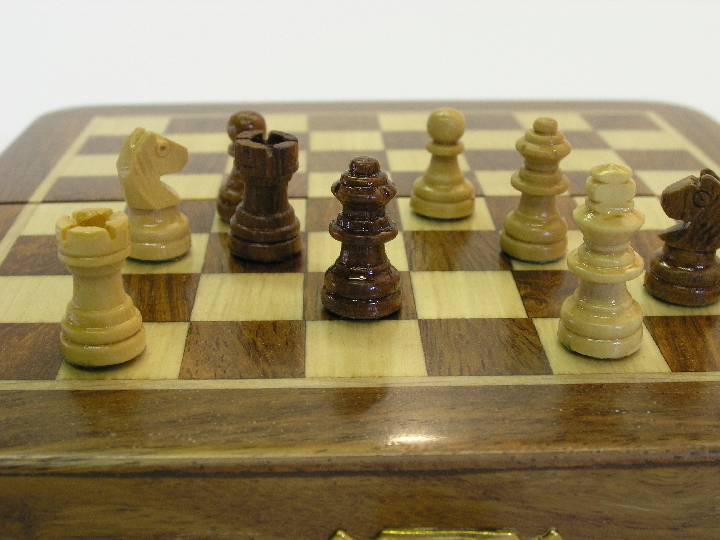 This product from Chess Baron: A great little magnetic travelling chess set! 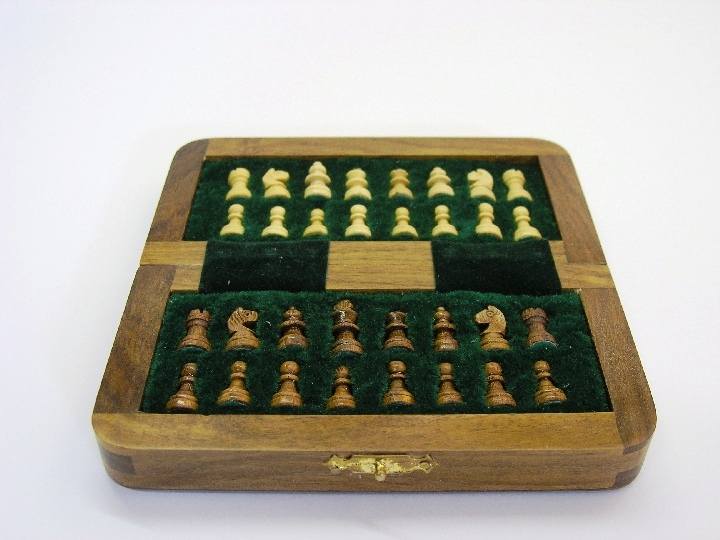 If you live in a compact space with no room for permanent display or you want to be able to play away, this magnetic chess set is an ideal choice for you. 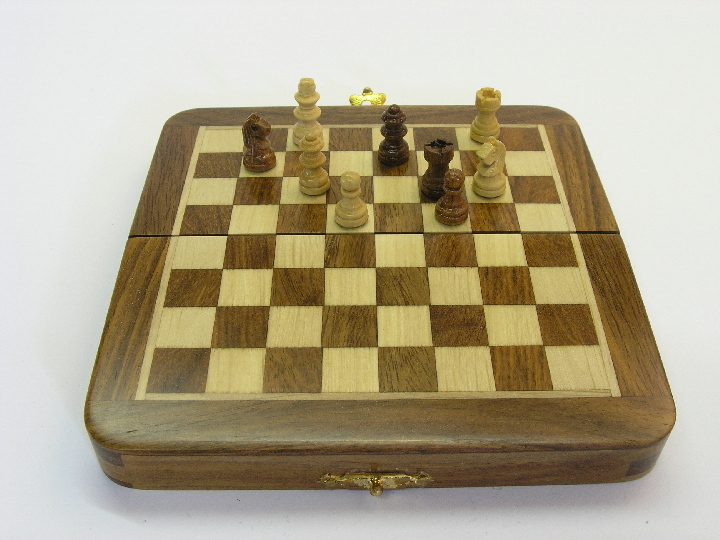 With board and box all in one, you won't be bored no matter where you are! 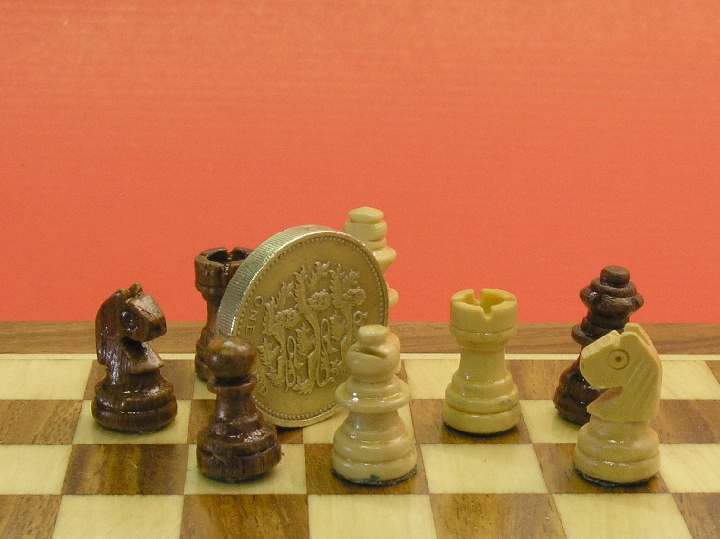 This small magnetic chess set measures only 2.5 by 5 inches (6.25 by 12.5 cm) with pieces just under the size of a pound coin (5/8 inch/1.5 cm) and is designed to take the knocks of life. 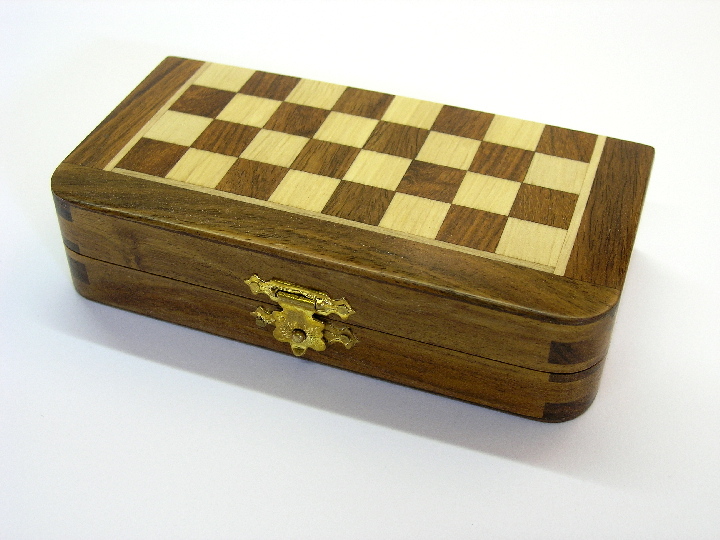 It has a laquered finish on both the outer box, board and pieces as well as a protective bag you can slip it into for storage. 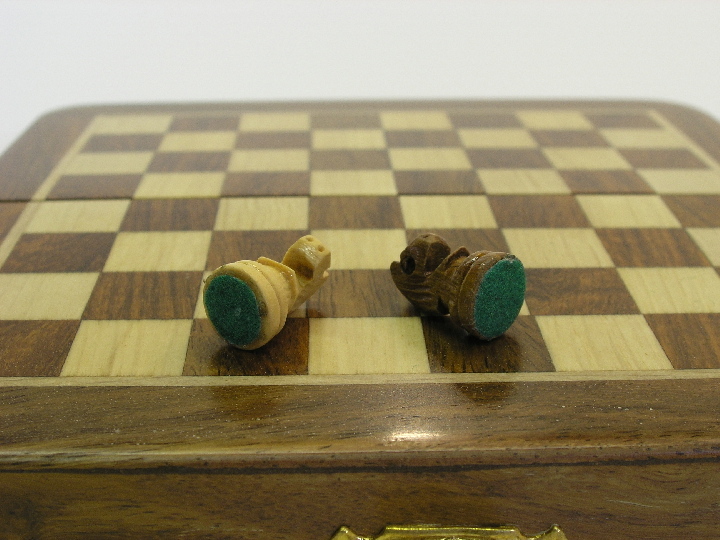 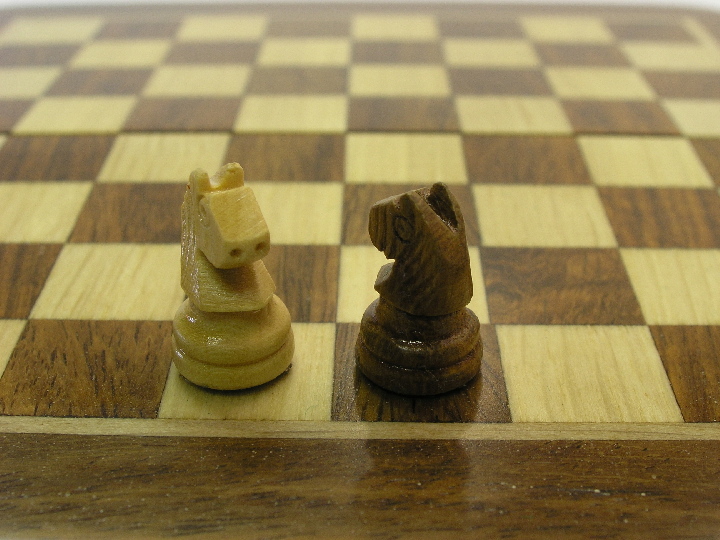 You'll be drawn to these chess sets! 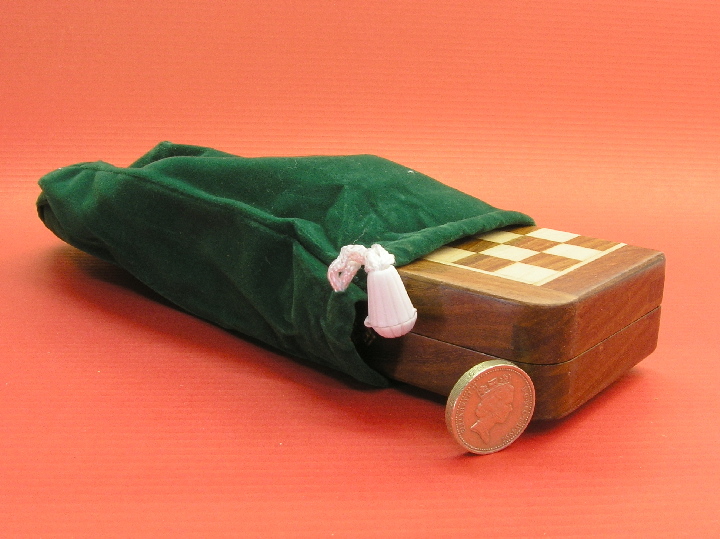 Just open the box, pop the pieces out of their snug storage positions, flip the box over and you are ready to set up the board and start playing.